A total of 70 MPs were invited but just 27 turned up for the meeting held by Paswan to discuss SC/ST issues. 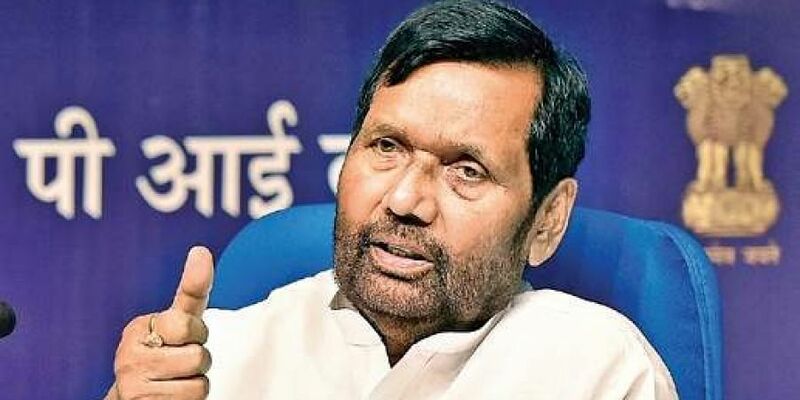 NEW DELHI: Union Minister Ram Vilas Paswan on Monday said that he will write to Prime Minister Narendra Modi to find speedy solutions to issues pertaining to Scheduled Castes (SC) and Scheduled Tribes (ST) including the dilution of the anti-atrocities Act. As many as 27 SC and ST MPs of ruling National Democratic Alliance (NDA) including BJP Minister Arjun Ram Meghwal attended an informal meeting held by Paswan at his residence to voice their concerns over dilution of provision of the Scheduled Castes and the Scheduled Tribes (Prevention of Atrocities) Act by the Supreme Court, the UGC's decision affecting quota, and reservation in promotion. "These MPs have spoken about the anger among SC, ST people. Some organisations are planning to hold agitations on August 9. We want the government to solve the problems as soon as possible. We are going to write to the Prime Minister. We will meet him to apprise him of the situation," Paswan told reporters after the meeting. A total of 70 MPs were invited but just 27 turned up for the meeting. Paswan said some MPs also demanded a special session of Parliament to discuss these issues.